Simplicity VoIP and Comtel Communications were founded with the focus on clients being our foremost priority. That said, delivering timely and helpful customer support are at the heart of our core values. This support would be impossible without our talented and dedicated client services team. One key team member is Patrick Messick. 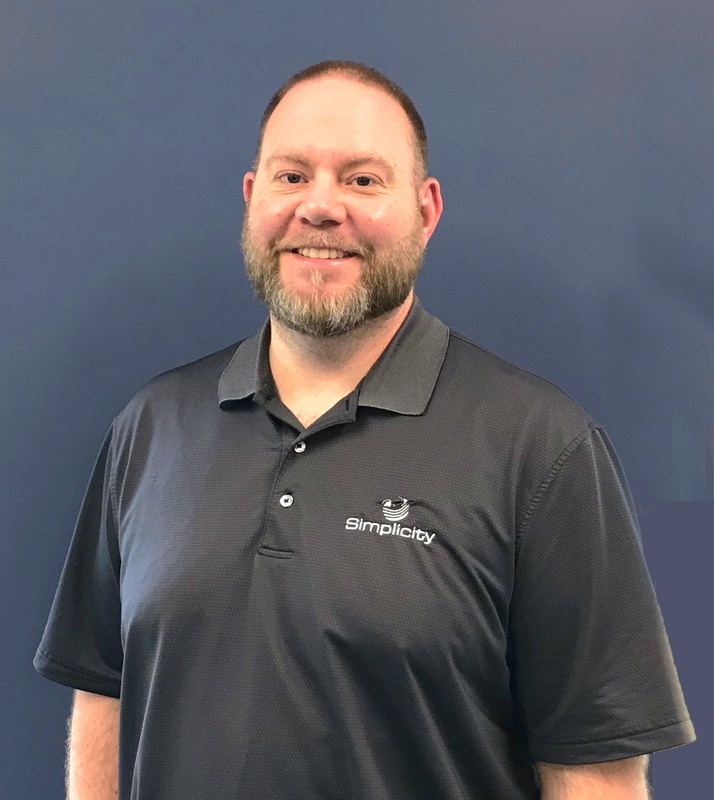 He has been with Simplicity and Comtel for about three years and has become an essential member of the client services team and company family. Many of our customers already know Patrick and have experienced the excellent service that he delivers. For those of you who have not yet worked with Patrick, continue reading to learn more about one of the people behind the scenes making things run smoothly at our companies. A: I have been with Comtel for almost 3 years. Q: Where did you work before Comtel? A: I worked at Windstream Communications for about 12 years. A: I have been in the telecom industry for around 17 years. Q: What did you study in college and how did it prepare you for this industry? A: I studied international management. I think this helped prepare me for the variety methods used to efficiently work within any business, regardless of industry. A: A lot, TDM based services have shifted to VoIP and hosted cloud services, along with wireless being almost a requirement everywhere. Q: What is your role at Comtel/Simplicity? A: My role is client services rep and back office support. I assist with most of our customer needs in terms of billing, quoting of services, order placement and trouble tickets - you name it we support it. I also work as one of the main back office contacts for the Verizon Partner Program for quoting and order submissions. Q: Have you had any other roles at the company? If so, what was your favorite? A: Since starting three years ago, my primary role has mostly remained the same. However, as the business continues to grow and change, I’ve taken on a few other responsibilities such as the Verizon Partner Program and the upcoming AT&T Partnership Program. Q: What is the most annoying part about your job? A: From a customer support perspective, I find running into road blocks the most annoying. These road blocks prevent issues from being resolved in a timely manner which can impact the customer. A: In my opinion, there are four primary elements of customer service: communication, responsiveness, attention to detail and follow through. If you can deliver on these, customers are generally very happy. A: The Christmas party is my favorite tradition. Ben and Amy go out of their way to host a great party for all of us which includes not only company employees but our families as well.